In our busy lives today, we are constantly being worried and afraid over all sorts of matters. Such healthy levels of stress and worry are good for us to constantly strive to improve our personal, social and financial situation. However, when we begin to feel anxious and fearful for seemingly no reason at all, it’s important that we are able to identify and eliminate the problem before it gets out of control. For example, if you get sudden bouts of fear and anxiety no reason at all, then you may be suffering from general anxiety. Do you often feel like something bad is going to happen, even though you have no idea what it could be? Is your life being controlled by sudden fear or anxiety attacks? 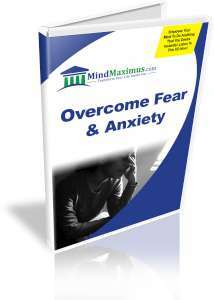 Have you always wished to be able to completely eliminate unnecessary fear and anxiety from your life? General fear and anxiety is typically triggered by the inappropriate triggering of the “fight or flight” response in our natural instinct to survive. In other words, these feelings have been triggered at the wrong situations – when we don’t actually need them. 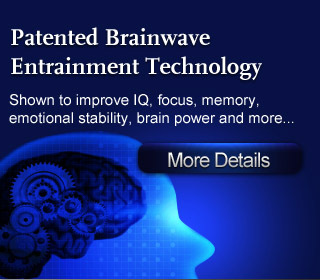 Thankfully, with today’s advanced Brainwave technology, we can now quickly and effortlessly train our minds to break the faulty mental associations that trigger this condition. From today, you’ll no longer have to worry about the unnecessary feelings of fear and anxiety, as you gain full control of your life once again! No reviews on H07 Overcome Fear And Anxiety so far.